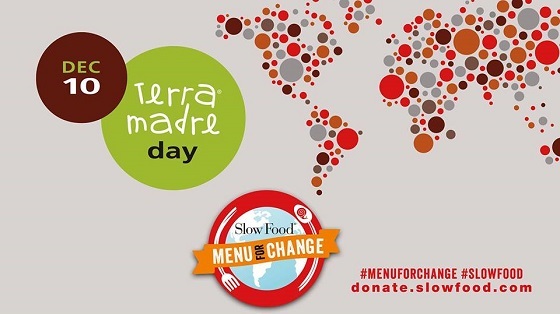 Each year on Slow Food’s anniversary, December 10, the global Slow Food network celebrates Terra Madre Day to promote local eating, agricultural biodiversity and sustainable food production. This year’s Terra Madre Day called special attention to the Menu for Change campaign, which highlights the relationship between food and climate change: starting from food, we can and must make a difference. Slow Food supports and promotes solutions to mitigate the impact of food on the climate by working to protect biodiversity, encourage food and environmental education, and raise awareness everywhere.